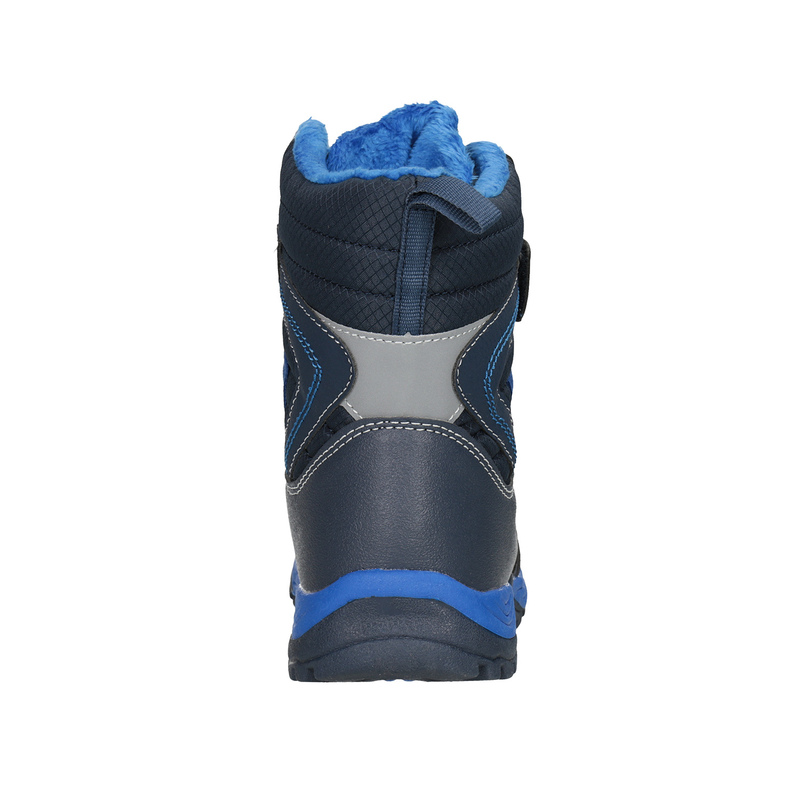 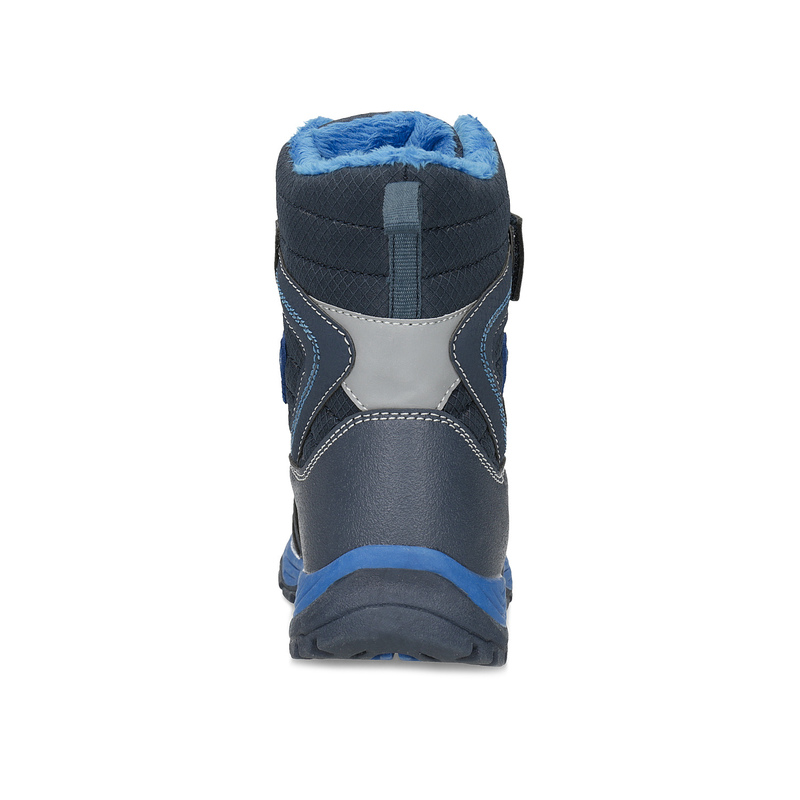 These children’s dark-blue winter boots have a thick sole, which insulates against the cold. The upper features light-blue details and stitching, as well as reflective elements for better visibility. 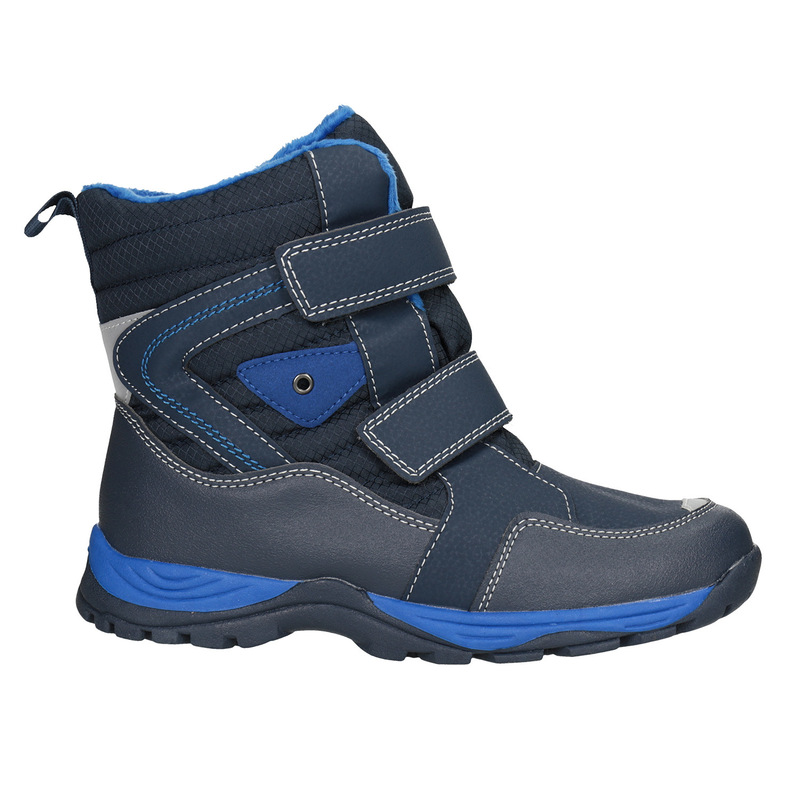 These boots have a membrane, which keeps them waterproof. 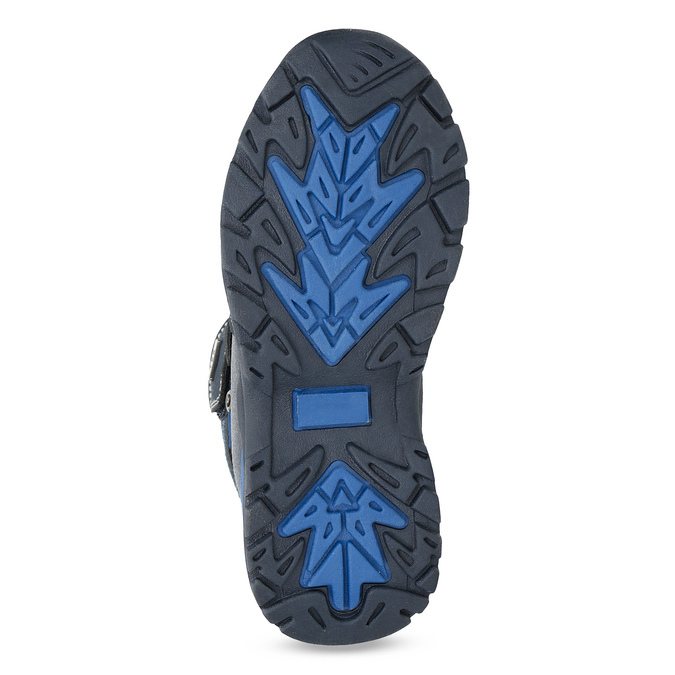 This can be enhanced using an impregnation spray. 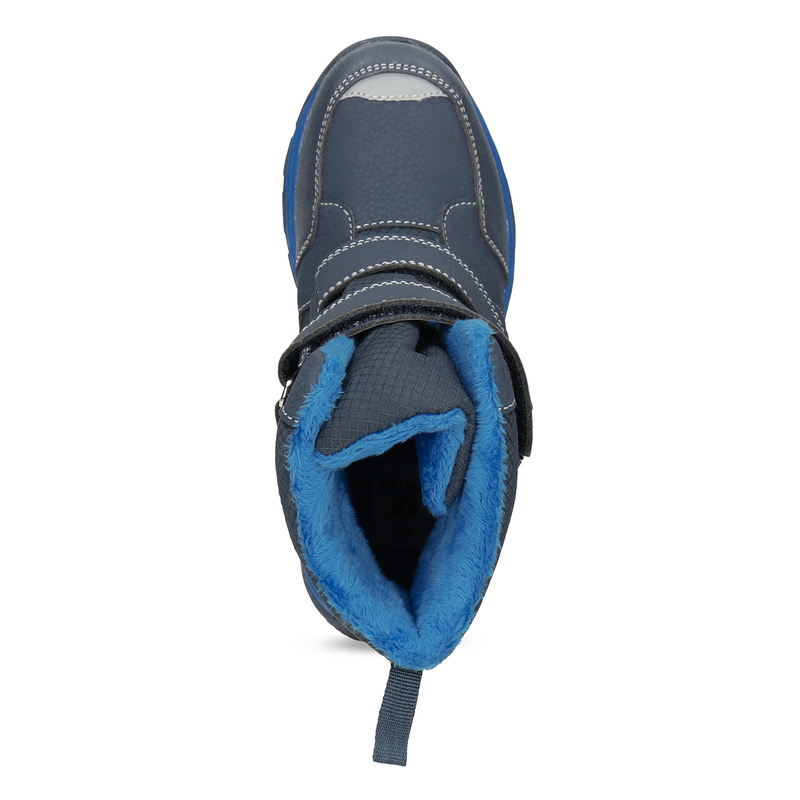 The Velcro fasteners make these easy to put on.